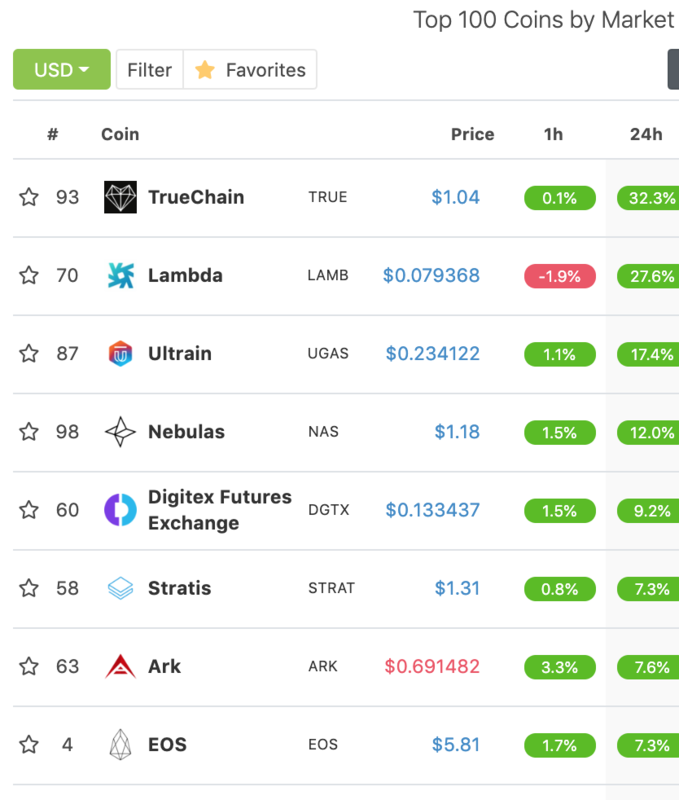 Bitcoin (BTC) is trading at 5251 and is currently bouncing up off support on some of the faster EMAs (9) on the 12 hour chart. 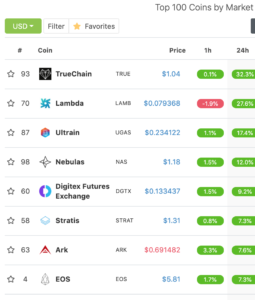 The top gaining cryptos in the 100 market cap coingecko.com today TrueChain (TRUE) 32%, Lambda (LAMB) 27%, Ultrain (UGAS) 17%, and Nebulas (NAS) 12%. 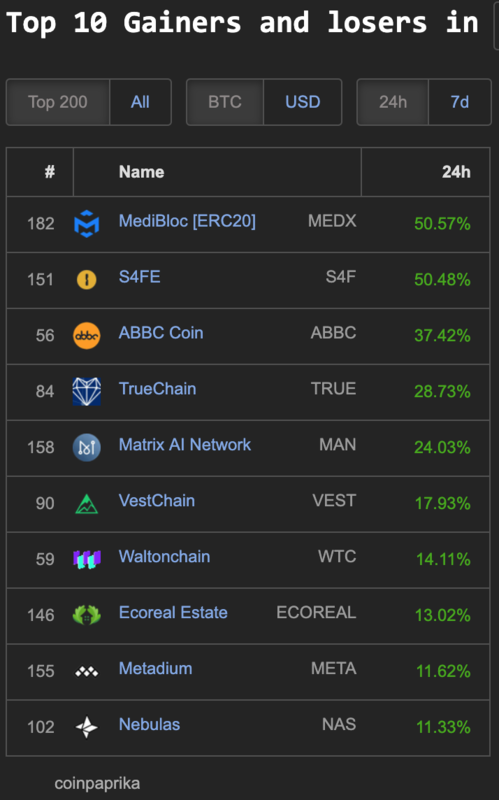 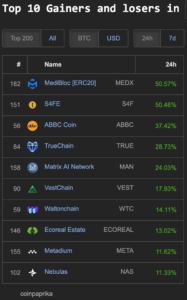 Coins leading within the 200 market cap on Coinpaprika.com: MediBlock (MEDX) 50%, S4FE (S4F) 50%, ABBC Coin (ABBC) 37%, TrueChain (TRUE) 28%, Matrix AI Network (MAN) 24%, VestChain (VEST) 17%, Waltonchain (WTC) 14%, Ecoreal Estate (ECOREAL) 13%, Metadium (META) 11% and Nebulas (11%). 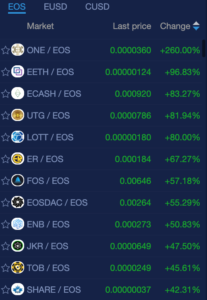 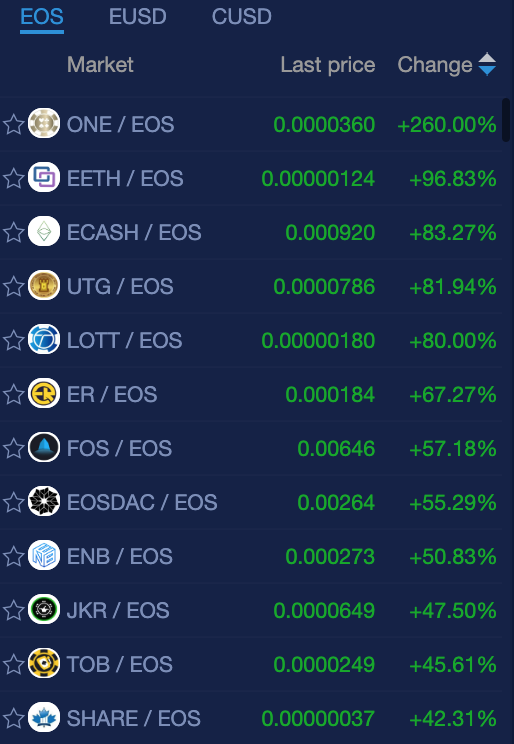 NewDex.io has EOS coins gaining significant amounts today: ONE (260%) and 27 coins with double digit gains, some of the non gambling coins/tokens include: EETH (96%), ECASH (83%), EOSDAC (55%), ENB (50%), SHARE (42%), CRE (41%), ANC (30%), LYNX (29%), HORUS (27%), SST (27%), ERO (21%), BRM (20%) ZKS (15%), and VOID (12%).